Of course it all depends on your type of hair. No one know’s your hair better then you. Think about all the products you’ve used in the past and how they did or did not work for you. When I style hair for a woman that needs it to last I feel that less is more, when it comes to product. Product can sometimes weigh hair down and make it dirty faster. When a stylist uses a nozzle on a blow dryer, its used for different reasons. It gets hair straight and smooth. Its perfect if you want movement without the body. It also can get the job done faster, leaving you satisfied if you’re pressed for time. As a hairstylist, I have to know how to style hair many different ways. The one thing I love though the most is volume. 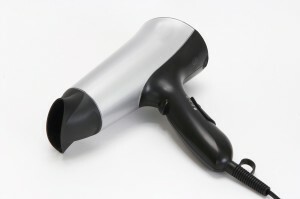 When I style hair and want volume and movement I use my hairdryer without the nozzle. This allows the heat to spread out instead of directing the heat into a smaller area(which smoothes out the hair faster). Once the desired smoothness is created, like a roller,I’ll let the hair set in the brush and use the cool button that most hair dryers have. What this does is set the hair. If necessary a hair clip can be used to set it even longer for more volume. Once this is all done I may spray the hair with a light hairspray and again use the cool button. If I’ve used hair clips Ill take them out. I’ll take the hairdryer and use the cool air to shake the hair out, piece hair out according to the style I’m looking for. I always say its better to leave with a little more volume then you’re used to because hair does start to fall the minute you leave the salon. At night I’ve heard using a scrunchy loosing in your hair will help keep the shape of the style. My suggestion though when you get up in the morning to freshen up your hair is take your blowdryer and blow your hair with it for a while, using your hands to scrunch and rejuvenate the movement and body of your hair. You may have to restyle your bangs if necessary. It will of course look different from when you left the salon but I have a feeling it’ll still look great. Not to mention the time you’ll save. I hope this helps. Expect to see examples of this type of styling produces. 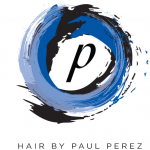 Copyright © 2013 Hair By Paul Perez. All rights reserved. Designed by Stephanie Dickison.